It has been raining for 2 morning straight! Arghh…Had to get up from my comfy warm bed for work. Once i got up, my dog Jaz, will straight away hog it. *juling sama dia* But i knew it would be raining. How? Why? You might ask. 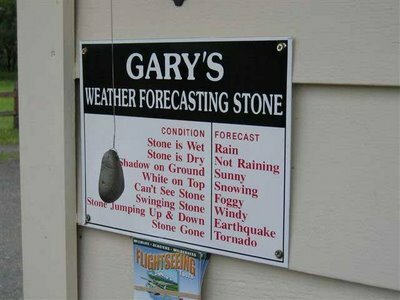 I got a magic stone that can forecast the weather, that’s why!! *jumping in glee* Alright, I’ll show you my magic stone. Yea right! Any other stone or pebble can tell that too! Just hang one out in the open and see the results.